Click here to see more of Dolly’s projects on Ravelry where her ID is dollyBambas. Dolly has been crafting for more years than she cares to admit, and has switched back and forth among crocheting, tatting, sewing, macramé and cross stitch to name a few of her favorites. Right now, she is revisiting knitting and enjoying every minute of time spent with her needles and yarn. 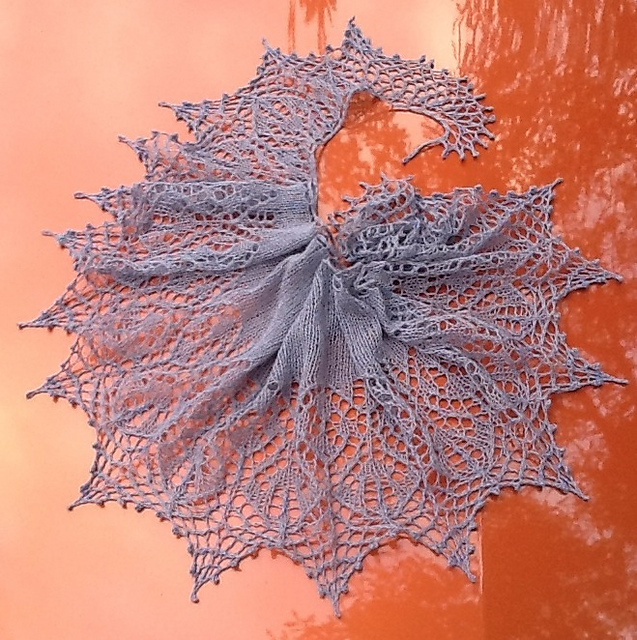 For about a year, she focused on beaded lace shawls and is currently exploring the joy of socks. Lacey socks, cabled socks, socks with stranded colorwork: they all appeal to her. But Plane Jane socks she finds boring! Averaging a couple pair of socks a month, she usually has two or three pair on needles at a time, switching back and forth between them as the mood strikes. Dolly belongs to a local knitting group where she enjoys companionship with other people who love making things with sticks and string. The group knits and crochets sweaters throughout the year and sends them to Knit for Kids (http://knitforkids.org) a charity that provides sweaters for children around the world. Dolly knits a sweater to donate about every 6 – 8 weeks. She is also a member of Ravelry, an online community for people who knit, crochet, weave and/or spin yarn.